A good design is not just about the ‘look and feel’ or the general aesthetics of a website. It is a reflection of your brand. It is responsible for not only positioning your business in front of your target audience, it needs to compel them to buy your products or services. A beautiful, unique and interactive design translates into a better experience for the users. It follows the branding guidelines, and adheres to the styles, fonts and color palettes of the business. 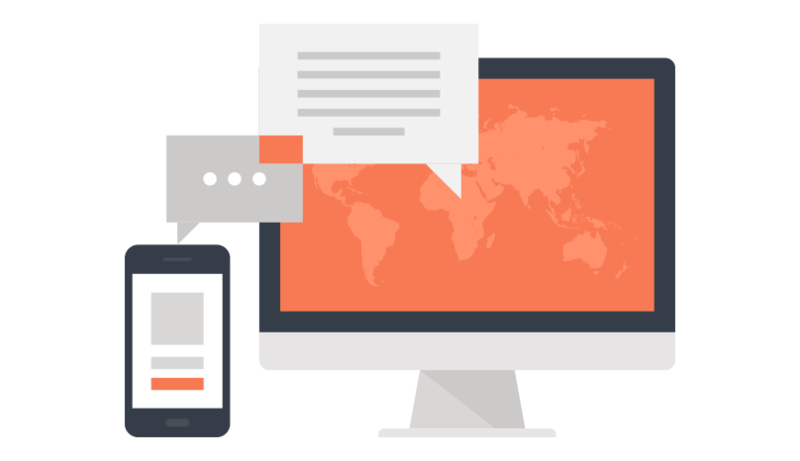 With a majority of users now accessing websites through mobile phones or tablet devices, a responsive web design that adapts to any screen size is a must-have for any business today. Since the main purpose of the website is to convert browsers into buyers, it needs to be designed keeping the sales perspective in mind. Your website is your chief salesperson, after all. 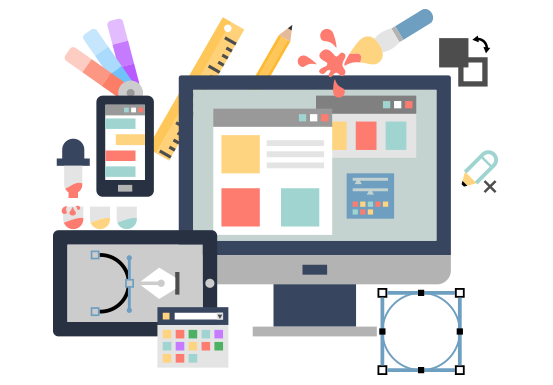 A good web design adheres to the sensibilities of the target market and specific business goals, so you get the best bang for your buck. This can only be accomplished by an experienced team. Not sure how to engage users? A brilliant web design in itself cannot guarantee the success of a website unless it is supported by equally strong content. Our team will undertake extensive research to create content that would help your potential customers find your business quickly and give you a competitive edge over your rivals. The role that visuals play in grabbing a reader’s attention and making content more attractive cannot be stressed enough. Our experts can help you move beyond stock photos to engage your audience with animated GIFs, short videos, custom clipart graphics and info graphics. A call-to-action needs to make you feel like clicking it. But that wouldn’t happen if your visitors aren’t taken to CTA in a manner that seems natural to them. Sometimes, it can be as simple as asking people to ‘Try’ something instead of ‘Buy’. At other times, it may not be that simple. And that’s where our professionals come in. If you are looking to establish your organization as a thought-leader in the industry, a company blog could be a great asset toward that goal. Blogs that talk about topics your customers care about are a brilliant way of directing more footfalls toward your website, while keeping the discussion around your brand abuzz. Loyal customers enjoy connecting with brands on social media channels. It has become imperative for any business to integrate social media buttons in its website, especially in the blog posts. Our experts can help you do this and grow your social media following through engaging content. Are you looking for a website that would give you all this? Exceptional website designs are not developed overnight. Zone One Digital follows a strict process of website design development to make sure all your business requirements are taken care of. Having worked with numerous organizations in a variety of sectors, we know how important it is to get a strong understanding of the business and its marketing objectives. We begin by interviewing the client and learning the differentiating factors, competitive landscape, and goals from the website. These learnings are then documented into a detailed web strategy. In this phase, we create the blueprint or the wireframe to show the basic layout of the website. The wireframe doesn’t contain distractions like graphics or color schemes; it’s an outline of different information areas to make sure each page meets all the requirements of the clients. 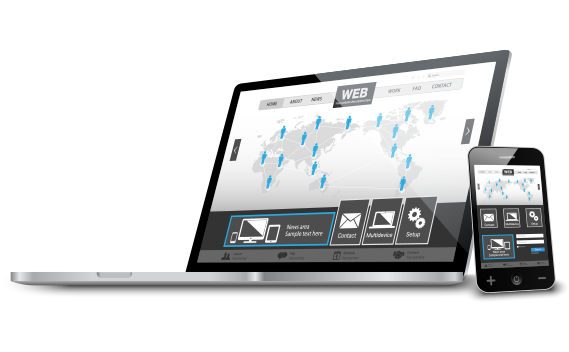 The wireframes can be easily adapted and adjusted. Once the wire frame has been finalized, our designers start working on bringing the project to life. Following the already-established brand guidelines, we start applying different fonts and colors, and fill the wire frame with real content and visual elements. We are constantly in touch with the client and send them a series of mock-up for feedback. The process of developing the website is a collaborative effort between our design and development teams. We have a dedicated team of talented web developers who are highly-skilled in a broad variety of platforms and development techniques. This allows us to achieve even the most complex requirements with great accuracy and efficiency. This extremely important, and often overlooked by many, phase is essential to ensure that the website is fully functional and free from any errors. Strict quality checks are performed to confirm the website is responsive and displaying correctly on different kinds of devices. We ‘go-live’ only after the client has given us an assurance of their satisfaction with the project. Our quality tests continue even as an administrator takes the website live. Once we are satisfied that the site is performing the way it should, we support the client throughout the launch phase byanalyzing the site for user behavior. We document what steps can be taken to optimize it for better conversion rate and make sure that visitors spend more time on the website. All websites built by Zone One Digital are equipped with a content management system (CMS), so you can update your site whenever you want. Our developers are proficient in a several publishing platforms and will help you select the one that best meets your unique needs. We will then customize that CMS to tailor it to your team’s strengths and capabilities. Ready for your digital success? Let’s start something special !